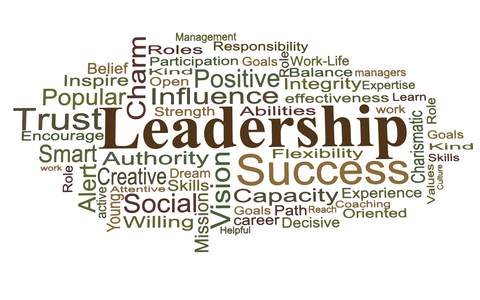 The list of leadership qualities seems to be always growing. Listening to librarians as they discuss how they cope with the demands of their job as well as the constant need to show their value, it seemed time to add some more. For us as school librarians, perseverance, persistence, and resilience are particularly necessary qualities of leadership. We have a seemingly never-ending challenge to prove our worth along with that of the school library and the programs we create. 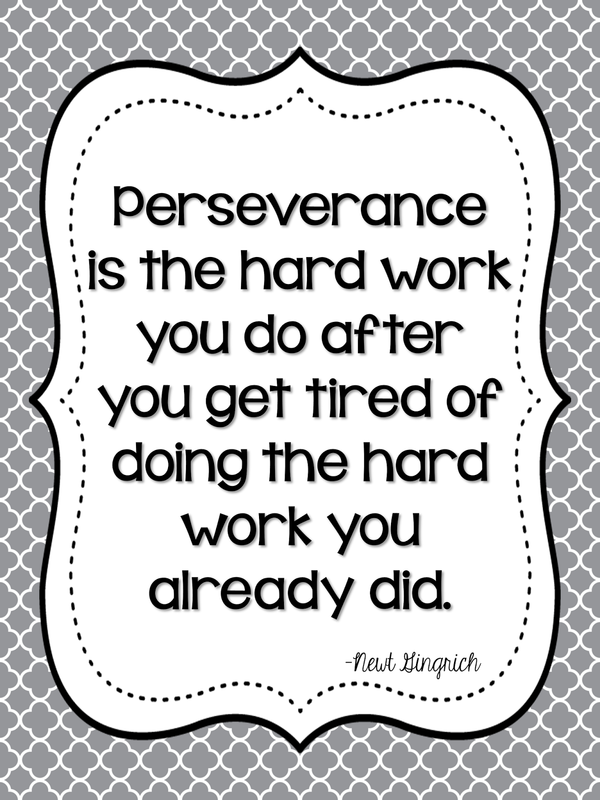 According to Merriam-Webster, Perseverance is “continued effort to do or achieve something despite difficulties, failure, or opposition.” It’s almost a definition of the school librarian’s world. Every day, we strive to connect with teachers and the administration to demonstrate to them how we increase student achievement, transform learning, and prepare students to be the lifelong learners necessary for success in an ever-changing world. Given teachers’ highly stressed workday, it is a continuous challenge to get them to give you the opportunity to prove your worth. Yet, you persevere. If you are or want to be a leader, you believe that you will ultimately achieve your goals, accepting it likely that it will be a process of two steps forward and one step back. 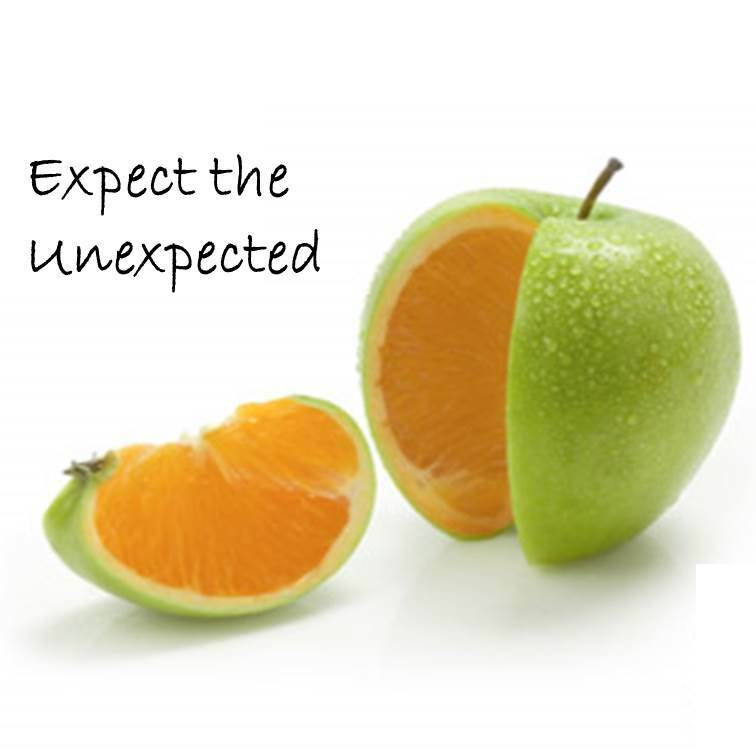 But what if you see no path to making the needed changes in your school and/or district? While I always write about leadership and the successes that have been achieved, that isn’t the whole picture. 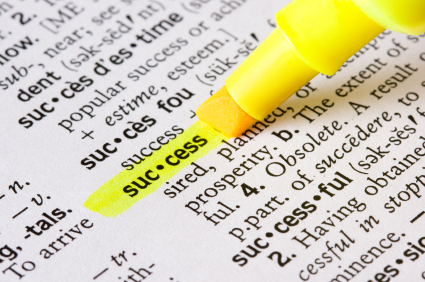 The fact is success is a goal not a given. And sometimes it is unattainable where you are. It is why I blogged a few weeks ago about when It’s Time to Move On. However, before hauling out your resumé, remember that Perseverance does require a continuous effort to achieve your goal. If you slowly see improvements, persevere. Learn from what doesn’t work and try a different approach. After all, repeating the same action in hope of a different result is a definition of insanity. Make a realistic assessment of what is possible and decide your next course of action. strategic superintendent who led a school district that voted down budgets regularly. She had learned to make it work as best she could with a stratagem I suspect is used by many administrators. After approving one of my requests, she told me when someone came to her asking for something requiring funding, her immediate answer was “No.” According to her, they would go away, and she no longer had to deal with it. I, on the other hand, frequently got a positive answer because I kept coming back with alternatives. My behavior told her that I was serious about my request. I was creative, and I probably was not going away. This made her confident that I would use the funds wisely and the students and staff would benefit. Some think Persistence carries the connotation of being stubborn. This should send up a red flag. Be careful how your behavior might be perceived. Stubborn people don’t listen to others’ ideas, believing their solution or approach is the only possible way. 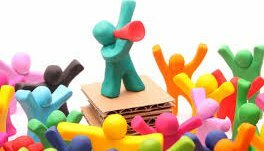 Review how you are presenting your ideas. Check with a trusted colleague to see if you are sounding stubborn. If so, revise your message. 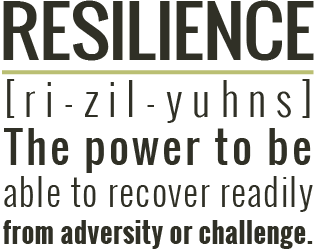 Resilience refers to your ability to bounce back from a setback. Sometimes one of your ideas doesn’t pay off. You want to go and hide and hope everyone forgets – or doesn’t notice. 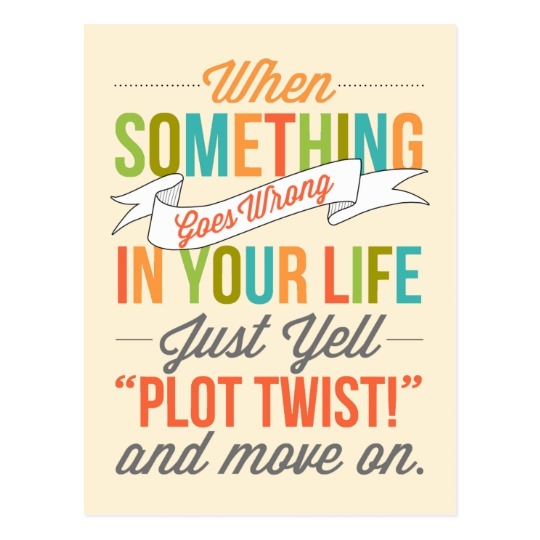 Nobody likes to get it wrong. We try to teach students that failing is a part of learning, but we don’t react that way when we are the ones who failed in some ways. If you always get it right, you haven’t reached high enough. Leaders will and do make mistakes. It’s what you do next that makes all the difference. Yes, you can have a pity party, but don’t stay there too long. Take a close look at what happened. Was the whole thing a disaster or was there any part of your project/idea that worked? Any of it salvageable? What went wrong? Was it a matter of timing? Did you count on the wrong people? 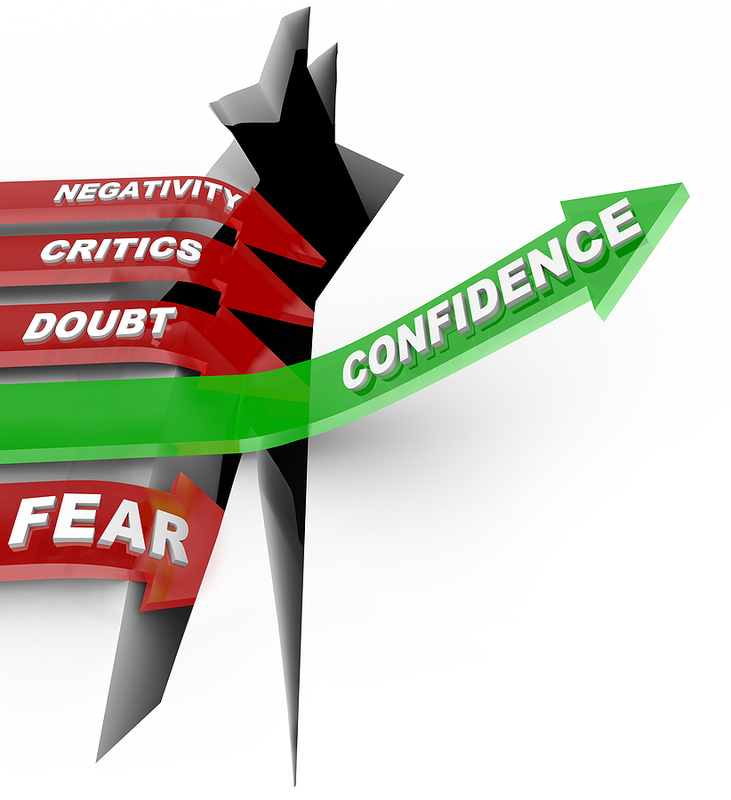 In your analysis avoid going to negative or positive extremes. Honesty is vital if you are going to learn from your mistakes. You will be a better leader as a result. Feedback, in essence, is evaluation. When given at the end of a project or unit, it’s summative. When it occurs while the learning is taking place, it’s formative. 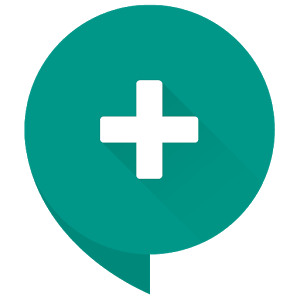 While both are important, formative evaluation is the most effective, giving the receiver of the information a chance to correct any mistakes. Both, of course, have their place. It’s best to provide feedback as rapidly as possible. The longer it’s delayed the more distant the learner is from the event, making it difficult to integrate the information in a meaningful way. However, time is only one factor. The feedback also needs to be meaningful. Whether you are correcting a written paper or making comments as students are working, what you say should be focused and specific. “Good job” is not specific feedback. It’s nice to hear but what does it mean? Far better to add, “Your conclusion clearly sums up the issues and the points you raised.” This is something that can be used in the future. The learner can see what is considered to be a good conclusion. For most people, it’s more challenging to make a negative comment, but these can be even more valuable, especially when the project is still underway. 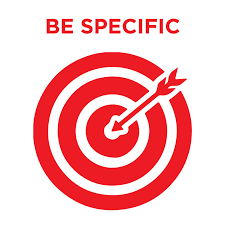 Saying the sources selected are not authoritative and suggesting the student review the criteria for finding such sources points makes the feedback a learning experience and provides a direction for success. Don’t overlook receiving your own feedback. It’s important that you have an accurate picture of how your lesson or a complete project went. As you see what your students have done and given them constructive feedback, identify what concepts they are getting and which ones are causing them difficulties. Reflect on this information. Why were you successful with the concepts they understood and integrated? What kept them from getting other concepts? How can you reintroduce the difficult ones so they are learned? And how can you teach it differently in the future so you need not review it from another perspective? Exit tickets are another way of getting feedback from students. Come up with thoughtful questions to ask and give the class time to reflect on their responses before ending the lesson. Don’t make it too complicated but give them the chance to decide what they want to let you know. For example, you can have one box of exit tickets that say, “The most important thing I learned today was….” A second box of cards might ask, “I’m confused about….,” while a third set has the statement, “I’d like to know more about….” When students get to choose which card they wish to complete you will get more relevant responses. Don’t get defensive or upset about getting many “I’m confused about…” cards. This is your opportunity to refine your teaching. In addition look carefully at the ones answering “The most important thing I learned today was….” Are the statements only surface learning? Did they receive an Enduring Understanding? Did they deal with the Essential Question? If not, how can you better focus your lessons? You also need to get feedback from the teachers with whom you work either collaboratively or cooperatively. 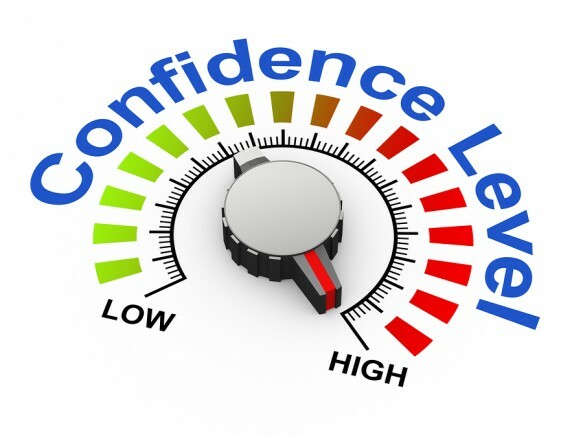 Don’t just ask, “Did the lesson I gave go all right?” You most likely will get back a reassuring affirmative answer. Like, “Good job,” this doesn’t tell you anything. I once did a unit with a general science teacher on composting. She was passionate about the subject and knew what she wanted students to discover. I thought I did a great job with the first lesson, but when she got back the initial reports from students they hadn’t located relevant sources. As is so typical, they grabbed the first two hits. Even though they had used a database, their searches were not sufficiently refined to target the key ideas. I retaught the lesson and students did better. The teacher also realized how she could frame the assignment better. The following year when we taught it again, the students did much better. Because they did, the teacher saw ways of continuing to improve the lesson. Incorporating regular feedback in your dealings with students and teachers will help you do a much better job and improve your students’ learning. 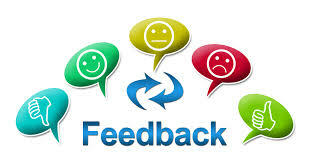 Do you give and get feedback regularly? How? Do you use exit tickets? 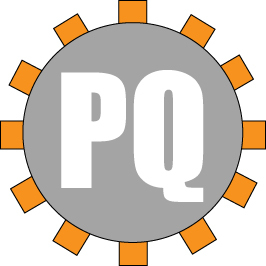 What are your best questions? I am very disciplined. Usually. And sometimes I am not. I have a feeling many of you share this duality, and I think there is a good reason for it. Back in August, I did a blog called A Matter of Time. In it I discussed time management techniques to keep you from getting overwhelmed. 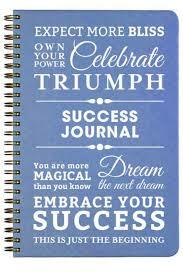 I advocated various forms of To-Do lists to keep you on track, recommending you find one that works for you. And I certainly have a To-Do list. I couldn’t function without one, yet there are some days when almost nothing gets checked off. I used to become upset with myself for being so unproductive and not completing all those important tasks. But I have come to realize it isn’t all bad to take time off. I have found I am most likely to procrastinate the day after I have been extremely busy and productive. It’s as though my mind and body are sending a signal they need to recharge. And we do. We can’t keep draining ourselves. There is a cost. Most of us have numerous obligations outside of work. Whether it’s getting kids to sports or other activities, preparing dinner, doing laundry, taking care of the lawn, or shopping. The list is long. Consider what happens to your attitude and your patience when you have been on the run for days on end. You know by now the importance of building and maintaining relationships. They are key to our success. 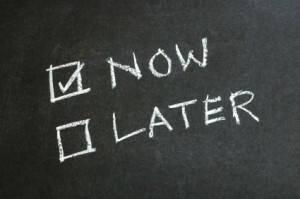 The last thing you want is for teachers and students to think you don’t have time to respond to their requests. You can destroy a relationship much quicker than you can build one, particularly if it isn’t well established. There’s also the matter of burnout. When you keep going without a break, you stop enjoying your job. As I have said, much of our communication is non-verbal. Your exhaustion sends a message that you are uninterested. And that definitely you don’t want to be disturbed. Worse, discipline problems in the library will increase. Students who are at loose ends because they didn’t think it a good idea to ask for assistance can get into trouble quickly. Then there are those who love disruptions and recognize a great opportunity to set you off. Usually, you are able to distract them and prevent most problems. But not when you are in overload. Yes, when you get back to your usual helpful demeanor, people begin approaching you. But if you spend too much time in that harried place, you may find fewer teachers dropping by to see you and ask questions. Students will not risk a rebuff. What you need to do is recharge. You will have to focus on high priorities. Classes must be taught, but you can scale them down. At the elementary level, instead of a major lesson, consider having a coloring day, and join the kids. More and more adults are discovering what a de-stresser that can be. And the kids can use that too. 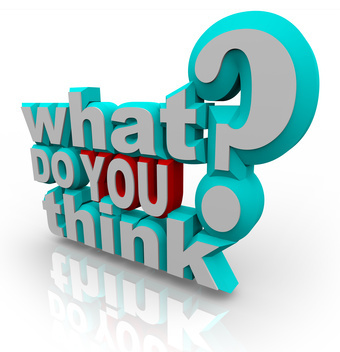 At the end of the class, discuss if they liked the activity and why. In upper grades, let kids research on their own and walk among them seeing how they are doing. Ask them about what they are finding. Close the period by having a group discussion on how successful they were and what they can do differently. It’s a good self-assessment lesson. For those of you who picked up the challenge of leadership, you may have been thinking that this is why you didn’t want to become a leader. It is too time-consuming. However, leaders must learn to set an example for others. 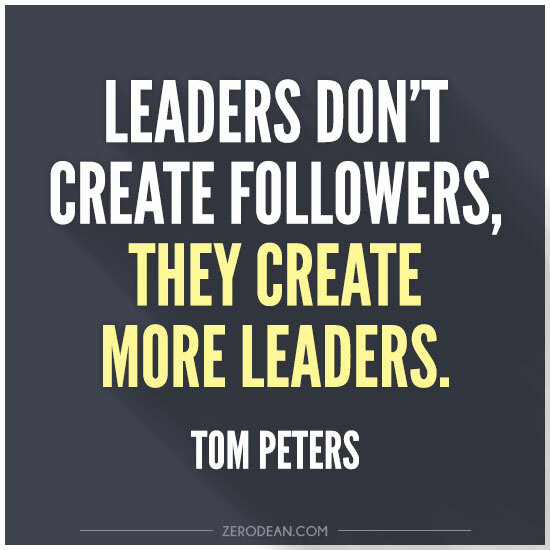 Among my favorite quotes is the one by Tom Peters, “Leaders don’t create followers, they create more leaders.” If a leader is seen as being exhausted and constantly in motion, no one will want to emulate them. You need to show the rewards of leadership. So ask for help. It may take time before you can figure out just what you need, but you will also be giving someone the opportunity to see what leadership entails. Librarians don’t usually know how to delegate, and if you are accustomed to being in control, it’s hard to give some of that up. But the benefits are worth it. Don’t overlook how your being overwhelmed affects your family and personal friendships. Even if you are able to be your usual wonderful self on the job, when you get home you are not anywhere near your best for them. Much as you love being a librarian, your work should not be the priority in your life. 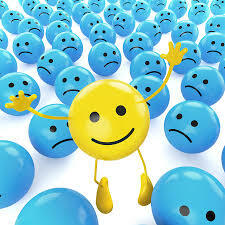 You need to live a balanced life so you maintain your joy. Moments you chose not to spend with family and friends because you had “too much to do” can never be recaptured. 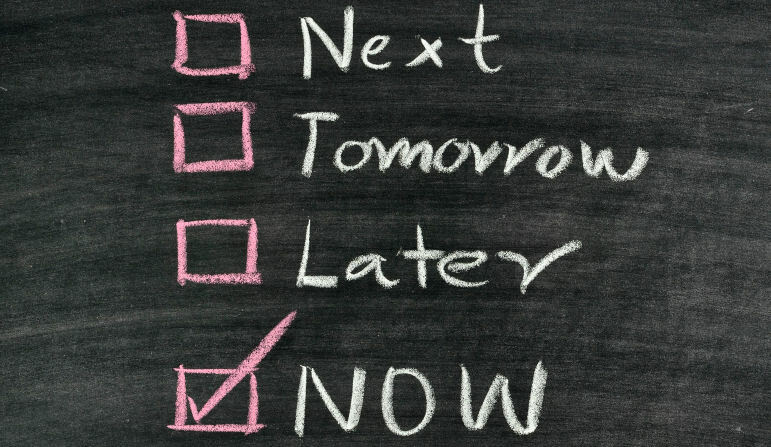 To rejuvenate look for small ways to procrastinate. There are several things I do. I play solitaire on my computer or spend time on Facebook. As long as I keep an eye on the clock, the “away time” lets me return with new energy. My favorite downtime activity is taking a walk. It clears my head. I can figure things out so much better than when I am on the computer. Most of my blog ideas and how I am going to discuss them are figured out while I am walking. At the same time, I stop and talk to people walking their dogs or take note of the change in season and how the trees and plants are changing. I also make sure to see my friends on a regular basis. I work at home primarily, but when my son comes over I stop what I am doing. I have learned the task will get done. It always does. And cherishing the joys in my life helps me do a better job in completing them. What gives you joy? How are you living a balanced life? Every librarian and teacher knows the magic of the teachable moment. Something occurs in the life of students or in the world and suddenly the kids are eager to find out more. Whatever you teach at that moment, helping them get a better understanding of the situation will stay with them, possibly forever and with unending and unexpected ripple effects. 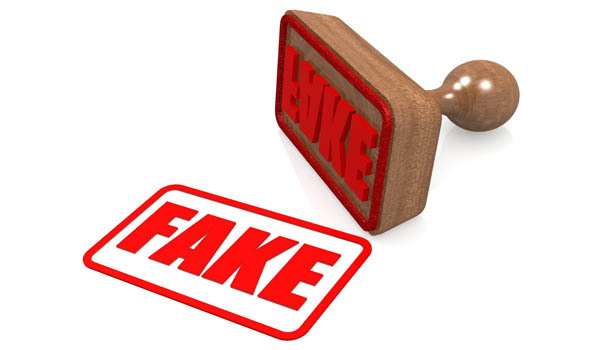 Much attention is now being given to what is being called “fake news.” Although librarians have been using hoax sites for years to teach how to validate information, this issue goes far beyond that, and it’s important that students from older elementary and up learn how to recognize it when they see it. As you prepare to do a unit on this, make sure you are being impartial. Both sides of the political spectrum have indulged in this practice. It’s not about you showing your personal perspective is correct. The Code of Ethics of the American Library Association states, “We distinguish between our personal convictions and professional duties and do not allow our personal beliefs to interfere with fair representation of the aims of our institutions or the provision of access to their information resources,” and we need to uphold it in our teaching as much as in our book selection. A change of terminology might also help alter the climate around the issue. It’s been my experience that words need to be chosen carefully. They often carry heavy emotional meaning. I have had students look at the different terms used on websites when they were researching pro/con assignments. For example, “pro-choice” vs. “pro-life” or “embryo” vs. “fetus.” It’s how biased sites work, and they are fine to use as long as you recognize and take into account their point of view. One excellent sources to use for this “teachable moment” was posted on my School Librarian’s Workshop Facebook group page. I liked it first because it refers to fake news as imposter news and it is a simple, easy-to-reproduce list of simple questions to ask. You can distribute copies to teachers for use with their class and use it in working with students. For the elementary level, you might want to simplify the language. Do direct students to Snopes. For years the site has been known for identifying urban legends and reporting on whether that warning email you received is true. 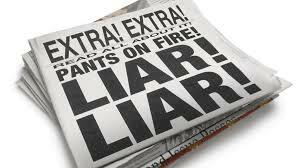 Now it has expanded into fact-checking reported news stories. I have seen a number of infographics showing which sources report imposter news and which ones lean in a particular political direction. Again exercise caution here. Some of those carry their own bias. 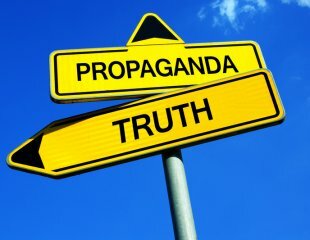 If you are concerned about working on the topic from its political aspects, you might want to try looking at fake health news. Introduce the topic using this website, and go on to have students explore the more controversial aspects and dangers such as the anti-vaccine group and others. Collaborate with a science teacher on the project. Taking students beyond the textbook and the often confining nature of the curriculum is part of what we do as librarians. 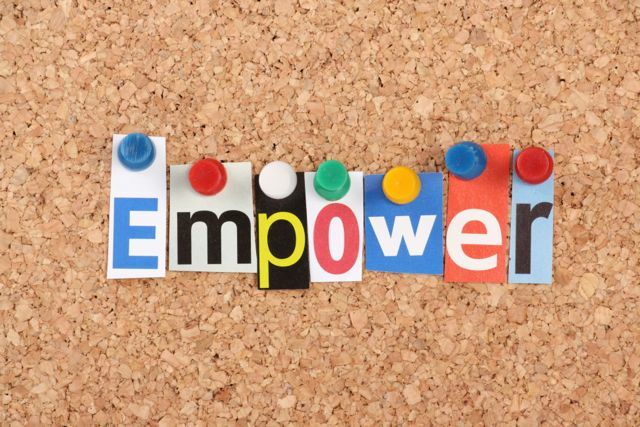 As you use these “teachable moments” to make an impact on students’ lives be sure you are sharing it with your teachers and more importantly with your administrators. Show them what students are learning. Let them see the final presentations so they see the “enduring understandings” students’ are taking away. Video your students in action and “interview” them. This is how your administrator learns what you bring to the educational community and to student learning. What “teachable moment” have you addressed? What was the result? 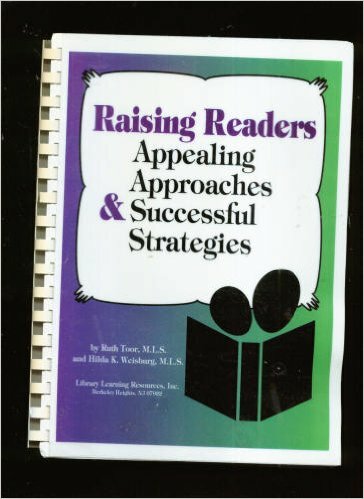 In 1977 I wrote Raising Readers along with Ruth Toor my long-time co-author and friend. Turning kids into lifelong readers has always been a priority of librarians. The challenge of doing so is nothing new, but in some ways it’s become more difficult. Your creativity and leadership is needed to instill a love of reading- and by extension its benefits – in all our students. While I fully support the Common Core concept of students being able to do “deeper reading,” some of the ways it has been interpreted have created a barrier to having students become lifelong readers. The balance of fiction vs nonfiction texts was the first barrier. Although the distribution was to be across all subjects, many districts imposed it on ELA classes which benefited nonfiction readers, but “punished” fiction lovers. To be honest, books students have to read for a class—whether fiction or nonfiction—has never turned kids into lifelong readers. That’s where librarians come in. While classroom teachers first teach students how to read, and in the upper grades expose them to “literary classics” which some do enjoy, it’s the librarian who brings the love of reading by connecting students with books matching their interests. 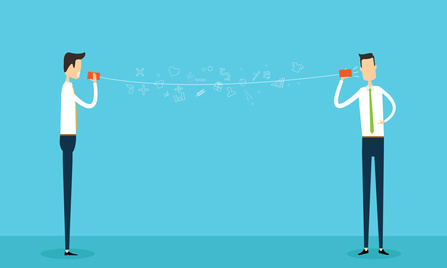 The reduction and elimination of librarians in schools has meant that connection is not made for many, and even when a librarian is present there are challenges. First and foremost is the emphasis on Lexile scores. Common Core stipulates the Lexile range for grade levels and too many libraries now have the collection so labeled. Students aren’t allowed to borrow books below or above their Lexile score. In the drive to improve students’ reading ability, administrators they are killing it. 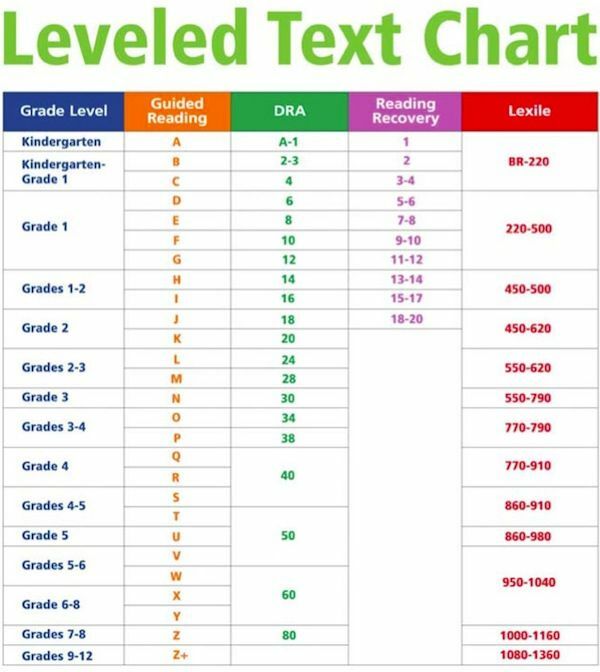 I understand the need to use the Lexile score for instructional purposes, but it doesn’t work for personal leisure reading. It’s like the old “five finger rule” where you read one page and you lift your finger for each word you don’t know. If you lift all five fingers the book is too hard for you, assuming readers shouldn’t choose a book where they don’t know five words on every page. When students read below their instructional level, they develop reading fluency. They can get into the book. They interact with characters whether it’s fiction or biography. 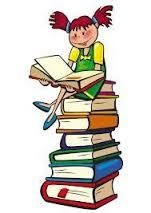 If they are reading nonfiction, they easily grasp the history of a sport or team or how an invention was developed. They enjoy the book. 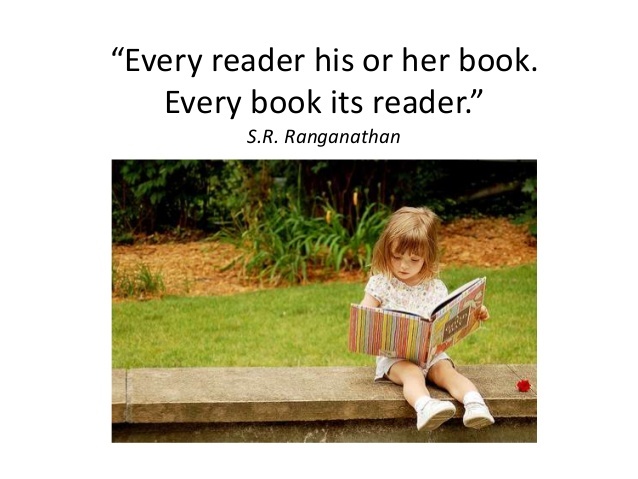 And that’s what builds lifelong readers. And students sometimes read above their Lexile level. It frequently happens with nonfiction readers who are interested in a particular subject. Some Harry Potter lovers started the series when it was “too hard” for them. But their interest motivated them and they took on the challenge. Why would you deprive a kid of that experience? I have a similar quibble with Accelerated Reader and programs which are supposed to promote reading by awarding points for what students read – sometimes earning students tangible rewards. Because of the lure of the reward, kids tend to choose books based on how many points they will earn, not on their own interests. When there are no longer points for reading, they stop. That doesn’t create lifelong readers. Ranganathan’s second law of library science is ‘Every reader his/her book.” While he was referring to the requirement of libraries to serve all their patrons without judgment, for me it also means connecting a student to the “perfect” book for him or her is very often the first step in becoming a lifelong reader. From my own children and members of my family, to people I have met, that initial connection with a book was transforming. These people either were disinterested or even disliked reading until they were matched with the perfect book. It was as if a world opened up to them. Often they re-read the book – sometimes several times. The aforementioned Harry Potter fans are one example of this. So where does your leadership fit in? Back to Lexile scores. What goes on in the classroom is fine for instructional purposes. You need to ground yourself in what we do as librarians and become “fluent” in explaining it so the distinction is understood. Collect stories of kids and their perfect book. Make sure the library is the welcoming place where kids can explore their interests and you can match them with just the right book regardless of scores. What stories do you have of kids and the book that was perfect for them? ON LIBRARIES: Are You a Distrupter? Of course you aren’t. You are a team player. You don’t rock the boat. But maybe…you should rethink the question. Leaders are disrupters, and it’s time for more librarians to envision themselves this way. 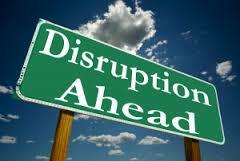 The business world, which I turn to regularly, recognizes the importance of disrupters. A Forbes article points out the difference between disrupters and innovators saying while all disrupters are innovators not all innovators are disrupters in the way that all squares are rectangles but not all rectangles are squares. Disrupters change how we think and behave. The article links to a list of leading disrupters in business. Of course Bill Gates made the list as did the three founders of Kickstarter and the man who started Buzzfeed. You won’t recognize most of the names but they upended how we think of retail, get our television programs, and use social networking. Okay, great for them. But you can’t see how to “disrupt” your school – even if you wanted to take such a huge risk. Let’s try a less scary term. 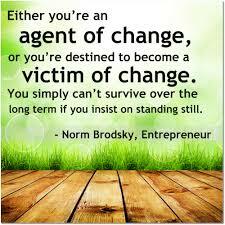 How about taking on the role of Change Agent? Another Forbes article has the compelling title, “Every Leader Must be a Change Agent or Face Extinction.” We have all seen how school librarians and libraries have been eliminated across the country. Granted the economic crisis of 2008 caused much of the loss, but part of the reason was the perception that we didn’t make a sufficiently worthwhile contribution to be a good economic decision. When confronted with widespread slashing of programs, what did many librarians do? They whined they weren’t appreciated. They crossed their fingers and hoped their jobs wouldn’t be next on the chopping block. What was and is necessary was to change the way we do business. There are numerous librarians who are doing that, but it’s incumbent on everyone to accept the challenge. The second article has two quotes that stick with me. 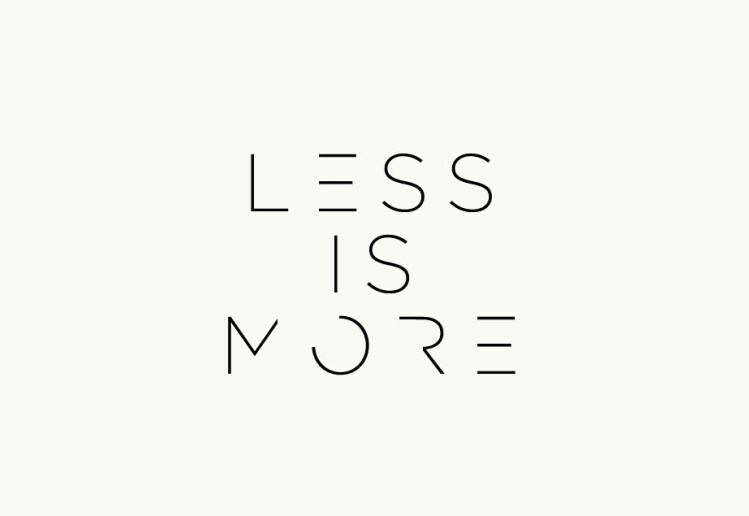 “Change is the new normal for leadership success, and all leaders must accept this fact,” and “Change is difficult; Not changing is fatal.” I have repeatedly said all librarians must become leaders or risk disappearing. 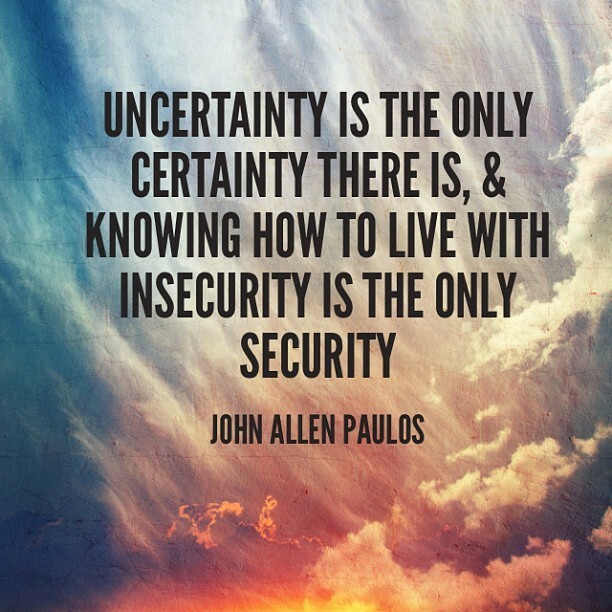 If you agree that is true, you need to accept the risk of becoming a change agent. Ranganathan, the father of modern library science, said “Library is a growing organism.” But any organism either grows or it dies. Now more than ever, the status quo is not sustainable. If you think your current situation is “good,” it’s time to make it great – even if you have to break it to do it. 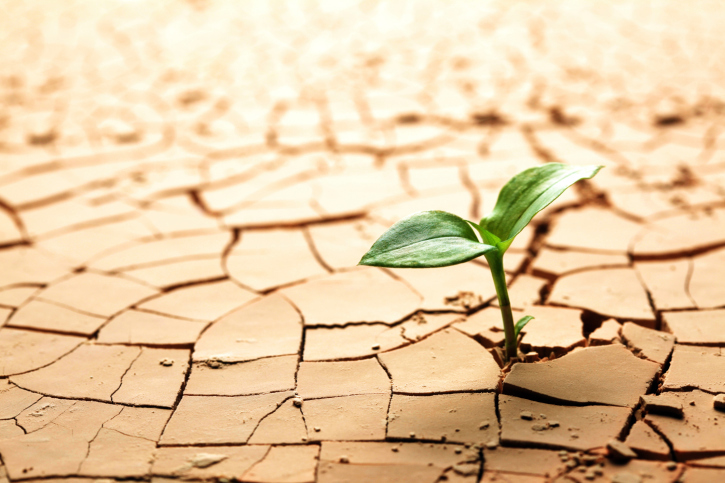 What can you do to ensure you are growing? 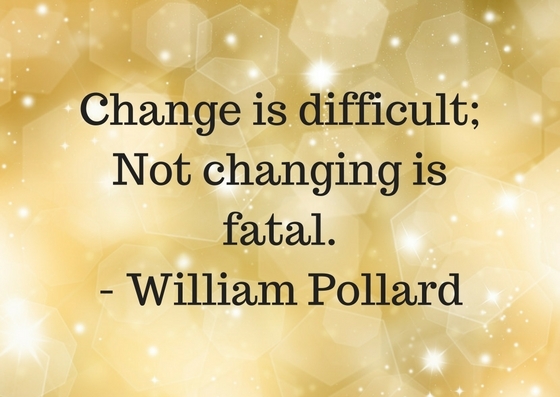 Or what should you do as a Change Agent? Librarians who are change agents are the ones who introduced Makerspaces and/or transformed their libraries into Learning Commons. If Makerspaces haven’t come to your district yet, that is one way to begin the change process. Makerspaces have had a dramatic impact on schools. Creating a Learning Commons is more daunting, particularly in districts with small or nonexistent budgets, but you can move in that direction. After researching various examples, consider what is possible through contributions. You need a vision of course, and then, with the approval of your principal, consider developing a GoFundMe campaign. A relatively simple change is to cover tables with whiteboard paper. This allows students working in groups to visually record their ideas as their project evolves. Anyone coming into the library will notice this dramatic difference instantly. It alters how they see the library, which is what you need to have happen as a Change Agent—or a Disrupter. Integrate the community into the library. Just about every place has a local history and horticultural societies. What else is available in your town or neighborhood? Contact these groups and ask if they would like to set up an exhibit of interest to your students in the library. When they do, display resources you have on the topic. Post everything to your website (or on a LibGuide on your website) and add online information. Video and photograph students viewing the exhibit. Give them comment cards or record what they think. Turn it into a presentation with Animoto or other similar resource and share it along with a thank-you note (from you and some of the students) to the society. They may even display it in their location. Suddenly their members are recognizing the library is not anything like the one they remembered. With administration approval, reach out to the business community through Kiwanis and/or Rotary. Ask for local business to share their “communications” with your library. You can feature what they do and again create a supporting display. Make a visual record and see if you can speak before the group and share what you did and how the kids reacted. If we do what we have always done, we will get what we have always gotten. Ignored – for the most part. Disrupt thinking. Become a Change Agent. 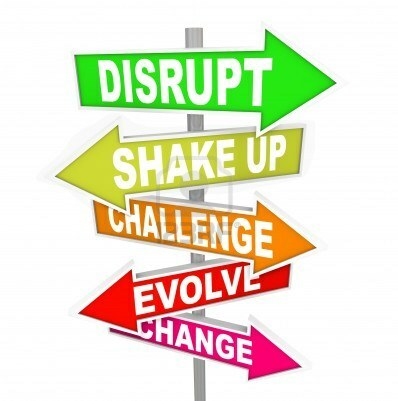 Have you “disrupted” your school? What have you done? What’s the craziest idea you’ve ever had for your library program? Could it actually work?